Authors, publishers and medical affairs teams continue turning to QxMD to convert decision support tools into interactive online and app-based tools with built-in audience reach. VANCOUVER, British Columbia–(BUSINESS WIRE)–lt;a href=”https://twitter.com/hashtag/medicalapps?src=hash” target=”_blank”gt;#medicalappslt;/agt;–QxMD Software Inc., a digital learning technology company that makes it easier for healthcare professionals (HCPs) to discover and apply the latest evidence for use in clinical practice, today announced the availability of its newest point-of-care clinical tool ‘International IgA Nephropathy Prediction Tool’ for Calculate by QxMD mobile and web app users. Coinciding with the JAMA Internal Medicine e-publication of the paper ‘Evaluating a New International Risk-Prediction Tool in IgA Nephropathy’ by Sean J. Barbour, MD, MSc, Rosanna Coppo, MD, FERA, Hong Zhang, MD, PhD, and others, the Internal IgAN Prediction Tool becomes the fourth Calculate by QxMD tool to simultaneously publish with a peer-reviewed paper or presentation since October 2018. The tool was also timed to go live at the moment Dr Barbour presented at the 2019 ISN World Congress of Nephrology in Melbourne. The IgA Nephropathy Prediction Tool accurately predicts the long-term risk of worsening kidney function at the time of kidney biopsy diagnosis of IgA nephropathy – measured as a 50% reduction in kidney function (eGFR) or the development of end-stage kidney disease. 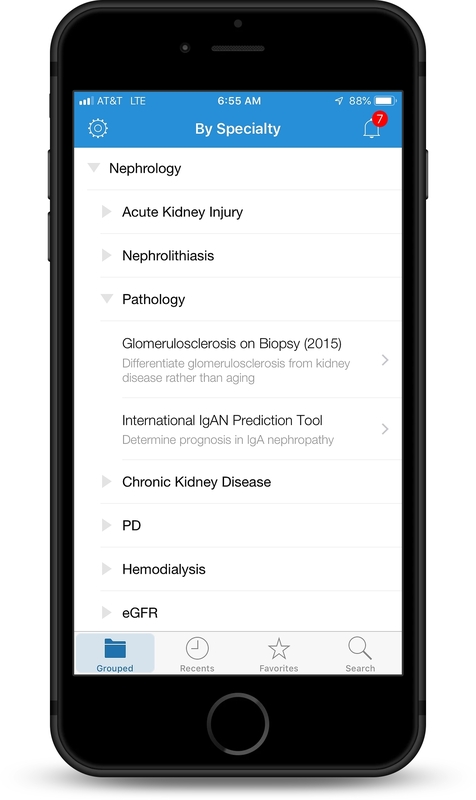 Developed by members of the International IgAN Network who analyzed data from a large number of adults with IgA nephropathy from around the world, the IgAN Prediction Tool is most reliable in predicting the risk of kidney function decline up to 5 years after kidney biopsy. Calculate by QxMD is one of many free medical apps (Read by QxMD, Learn by QxMD) that comprise the QxMD Pathways platform. 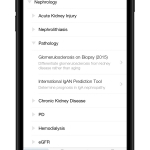 Together, these apps provide millions of users with fast access to full-text research, continuing medical education (CME), and up-to-date tools that drive disease recognition and therapy optimization. Powered by a sophisticated personalization engine, the platform aggregates PubMed feeds, journal table of contents (TOCs), 450+ diagnostic tools, micro-learning CME courses and more. QxMD has a consistent history of publishing tools on Calculate by QxMD simultaneously at the time of publication in a peer-reviewed paper or at a conference presentation. The three most recent tools, VQI Same-Day Discharge (October 2018), CLL Ball Score (November 2018) and ROKS 2018 (December 2018), were quickly used by thousands of global clinicians shortly after publication. In addition to the Calculate by QxMD publication tactic, QxMD also offers authors, publishers, and professionals in publications and medical communications the ability to transparently sponsor and disseminate research on the QxMD platform for greater publication reach and share-of-voice. To learn more about QxMD, please visit www.qxmd.com. About QxMDQxMD™ is a digital learning technology company that makes it easier for healthcare professionals (HCPs) to discover the latest evidence and decision support tools for use in clinical practice. The company’s HCP engagement platform comprises a library of trusted apps that provide millions of members with fast access to full-text research, continuing medical education (CME), and up-to-date tools that drive disease recognition and therapy optimization. Powered by a sophisticated personalization engine, the platform aggregates PubMed feeds, journal table of contents (TOCs), 450+ diagnostic tools, micro-CME courses & more. QxMD also serves other healthcare constituents such as hospitals, libraries, scholarly publishers, and nearly 50% of the world’s top-25 pharmaceutical companies.